Tucked in-between the sunny Susa and Chisone valleys, Sestriere is a friendly town with only a hint of the pretense of a rich Italian ski village left in the air. It is now a mix of young Italians and families coming to enjoy over 400 kilometers (249 miles) of pistes connected to the Milky Way. In the entire Milky Way the total uphill capacity is 100,000 per hour! As host to many of the Alpine events of the 2006 Winter Olympics in Turin , Sestriere has received a much needed boost into the international limelight. Unfortunately, the town isn’t as charming as its inhabitants, as it didn’t escape the massive building blocks of the 60s and 70s. Yet it does host one mark of architectural genius—the circular hotel tower designed by Giovanni Agnelli in 1930 when Sestriere began its history as one of the major ski resorts in Italy . 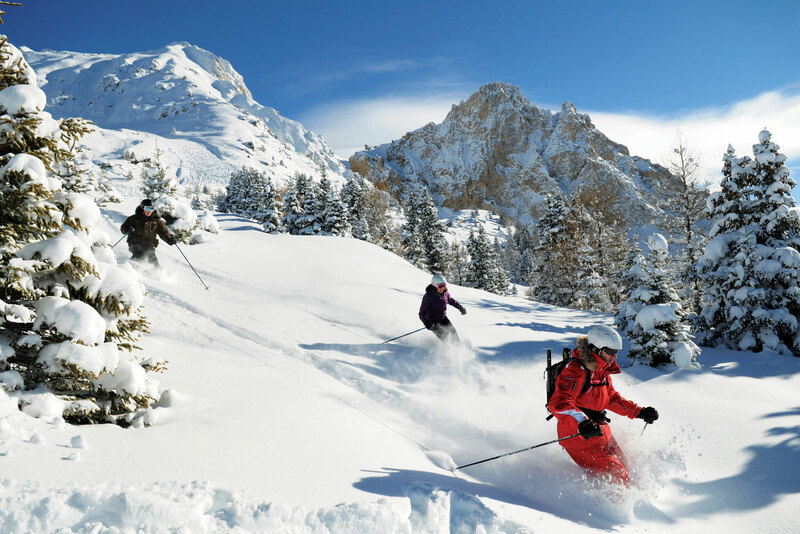 Sestriere has much to offer both on and off the slopes, the greatest being local culinary delights. One of the best things about skiing Sestriere is that you are in Italy . Your skier’s appetite will be well satisfied by Piedmont specialties and all the Italian favorites. International flights available to Turin. Scheduled transfers and private shuttles are possible. Rental cars are another practical option for this destination. Alpine style hotel only 400m from the centre and the ski lifts. Located at 2035m altitude on the Sestriere Col, boasting a sunny and quiet position overlooking the VIA LATTEA skiing slopes (which host the Alpine Skiing World Cup races). Free shuttle service. 45 rooms all with private bathroom, telephone, & sat-tv. Hotel facilities include: piano bar, welcome drink, room service (breakfast) on request. Buffet breakfast and 3-course meals included. This excellent hotel was recently restored, located downtown and is within walking distance of the ski lifts. Elegant, cosmopolitan and relaxing hotel. Comfortable rooms all with private bathroom, hairdryer, telephone, sat-TV, minibar, & safe. Facilities include two restaurants and a bar, offering a wide choice of regional, international and vegetarian dishes, TV room, lift, solarium, ski deposit, garage, fitness area, gym, sauna, jacuzzi pool, turkish bath, and UVA solarium. 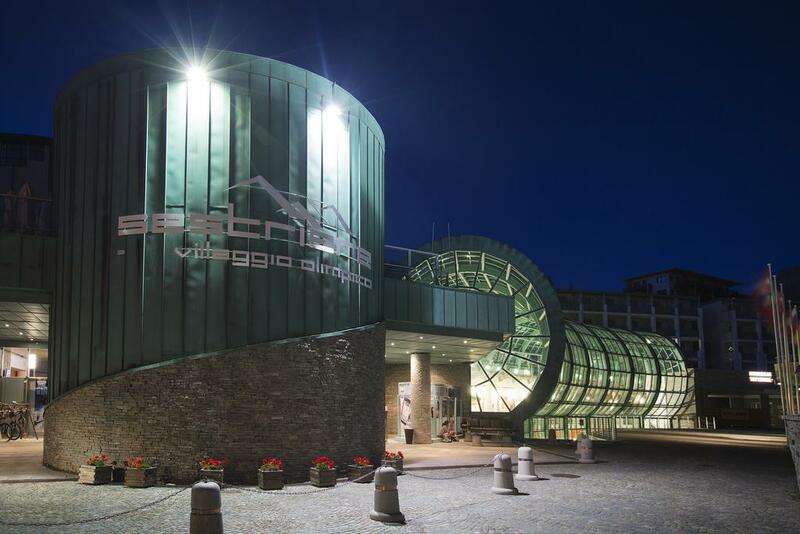 Featuring bright apartments in this former athletes’ accommodation, Villaggio Olimpico Sestriere has 3 restaurants and a state-of-the-art wellness centre with indoor pool. Each apartment includes free indoor parking, and use of a heated ski deposit. Each apartment here is spacious and has a balcony with mountain views. All feature a cosy seating area with satellite TV. 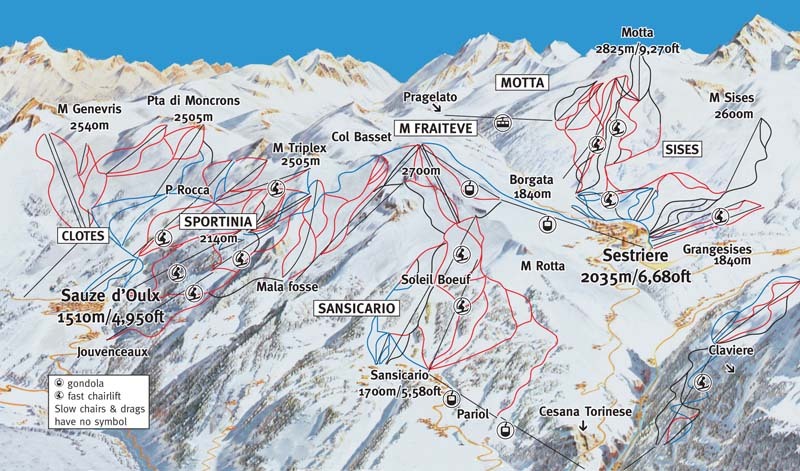 Lifts for the Via Lattea ski area are just a 2-minute walk from the Olimpico Sestriere’s entrance. On site you can store your ski equipment and even buy your ski pass.